It is that time of year again, when everything is covered in snow. Just thinking about waking up early to clear off the driveway and sidewalk is a torture for many property owners. But the question is: “Is there a legal responsibility to clear your sidewalk and driveway of snow?”. As it turns out it is, but it depends on where you are living. 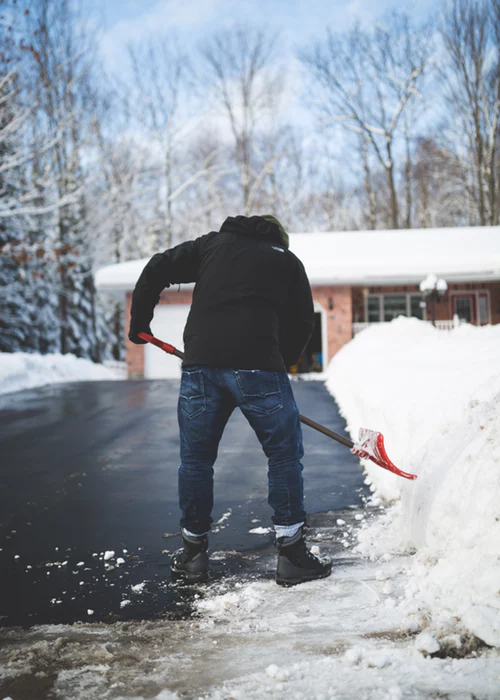 Your slip-and-fall injury lawyer from Maryland can help you if you’ve got injured because of a sidewalk that was not cleared of ice and snow. Maryland has no commonwealth-wide law regarding snow removal. In this state, individual counties and cities have passed their own local laws about snow removal. This makes sense since parts of the state are urban and others fairly rural. But a slip-and-fall accident in Maryland is a serious thing and many people suffer serious injuries because the municipality or property owner did not do their jobs. With the help of your slip-and-fall attorney from Maryland you can file an injury claim and receive compensation. As mentioned earlier, in Maryland individual cities and counties have passed their own snow removal laws. Here is their decision based on the city/county. In this county, both the residents and business owners are obligated to remove the snow form the sidewalks along their properties within 24 hours. Furthermore, some Montgomery County local municipalities, such as: Silver Spring, Brookville, Chevy Chase Section 5, Barnesville, Chevy Chase Village and Poolesville follow the same rules. The fine for not respecting this law is $100. In this city, the residents and business owners are obligated to remove the snow form the public sidewalks within 12 hours. Citations can be issued. In this city the residents have until noon if it snowed during the night and until 9 PM if it snowed during the day. Business owners are required to keep the sidewalks along their property clear between 9 AM-5 PM. Monetary penalties may be issued. In this county, the residents and business owners are obligated to remove the snow form the sidewalks along their properties within 48 hours. The fine for not respecting this law is $100. In this county, the residents and business owners are obligated to remove the snow form the sidewalks along their properties within 48 hours. Citations may be issued. In this city, the residents and business owners have to remove the snow form the public sidewalks within 12 hours. Citations can be issued. In this city, the residents and business owners have to remove the snow form the public sidewalks within 24 – 48 hours. Citations can be issued. $50 fines may be issued for residents and $100 fines for business owners. In this county, both the residents and business owners are obligated to remove the snow form the sidewalks along their properties within 24 hours. $25 fines may be issued. There are clear policies and regulations for property owners to clear the snow and ice. Furthermore, some publicly financed entities which provide housing may have adopted their own internal policies regarding ice and snow removal (including the materials they use). If the established standards were violated, then negligence is in question and you can file a claim against them (including the Housing Authority). If you are in need of legal help for a slip-and-fall accident in Maryland you may contact your lawyer to file an injury claim and get the compensation you deserve. A great advantage of getting professional legal help is that your lawyer can provide you with expert witnesses which can testify in court, increasing your chances of winning your case. Contact the best slip-and-fall injury attorney in Maryland at (443) 569-3950 or send an email to [email protected].